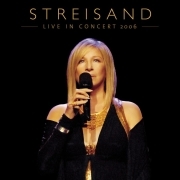 BarbraNews.com's Special Report On...: Barbra To Perform In Brooklyn, October 2012. Barbra To Perform In Brooklyn, October 2012. The Brooklyn-born and raised, world-acclaimed superstar will perform a concert on Thursday, October 11th, in Brooklyn at Barclays Center, the new 19,000-seat sports and entertainment venue. Tickets will be available to the general public on May 21 at 10am EDT. BROOKLYN, NY - Barbra Streisand is coming home. Streisand will be making a triumphant return to her native borough. Raised in the Flatbush neighborhood and a graduate of Erasmus Hall High School, Streisand will perform publicly for the first time in Brooklyn. Tickets for the Streisand concert will go on sale shortly. Tickets will also be available through Ticketmaster or by calling 800-745-3000. NETS All Access ticket holders will have the opportunity to purchase tickets for the concerts before the general public.